Play Ulti online for free now! The trick-heavy card game Ulti or Ultimó is the national card game in Hungary. It is related to the Czech Marias as both games are derived from the French “mariage” The name Ulti or Ultimo refers to the last trick that you can play for extra bonus points if you win it with trump 7. 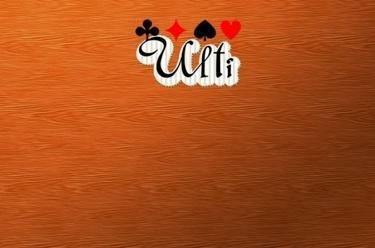 Ulti is a trick-taking game for 3 players where one player always plays solo against two opponents. The aim of the game as an individual player is to win the most tricks for yourself and meet the bids announced ahead of the game. The two opponents, who act as a team, will try everything to prevent this. Win as many Aces as possible in this tricky game and pocket lots of points!